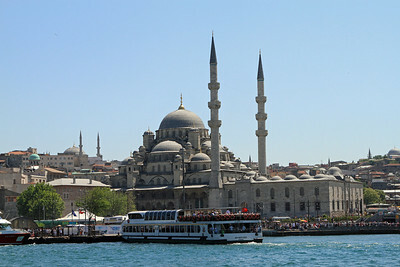 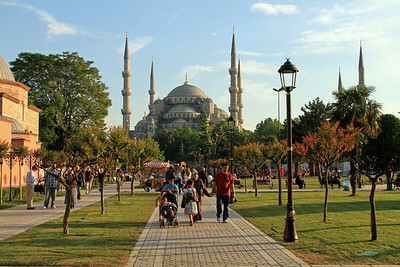 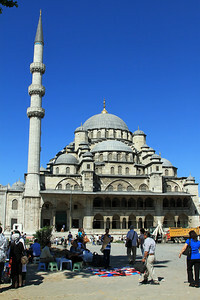 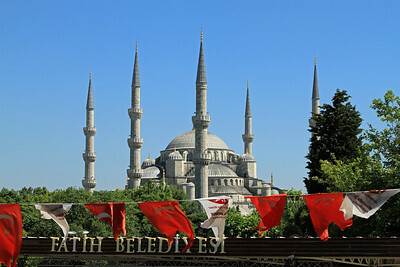 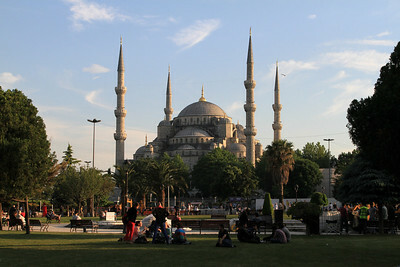 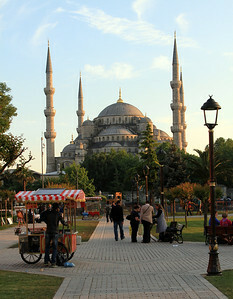 The Blue Mosque and Sultanahmet Square. 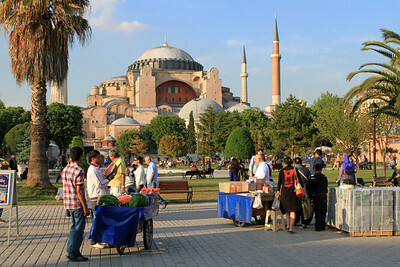 Haghia Sophia and Sultanahmet Square. 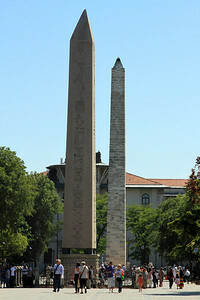 The Egyptian Obelisk and Serpentine Column in the Hippodrome, Sultanahmet Square. 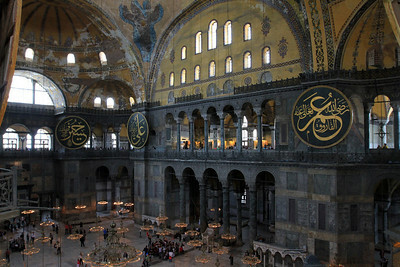 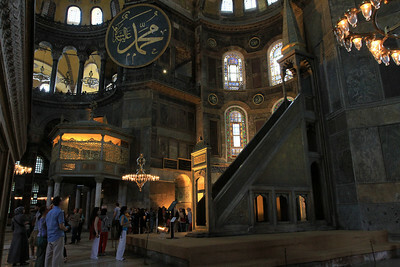 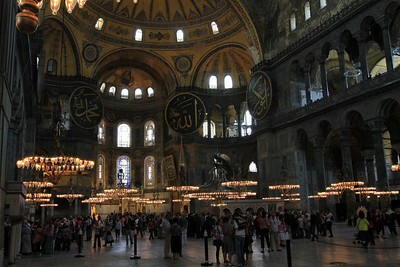 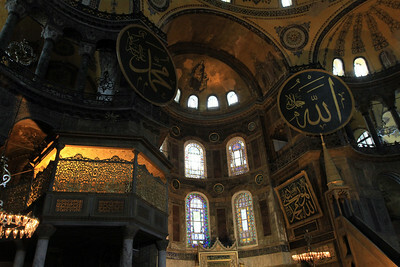 Interior of Haghia Sophia, showing Muslim Minbar. 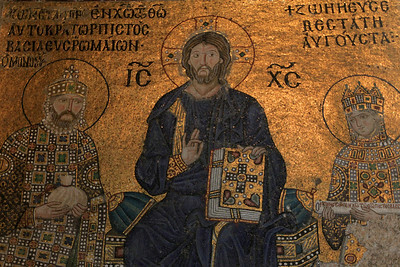 Mosaic inside Haghia Sophia depicting Christ flanked by the Byzantine Emperor Constantine IX and his wife, the Empress Zoe. 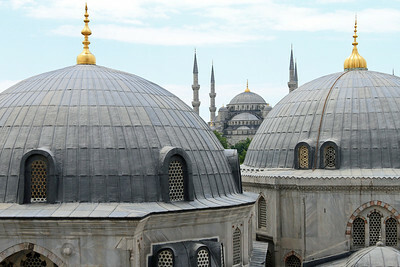 View over the (mausoleum) domes of Haghia Sophia to the Blue Mosque. 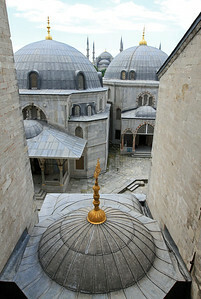 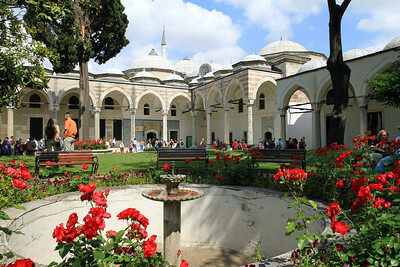 View over the (mausoleum) domes and interior courtyard of Haghia Sophia to the Blue Mosque. 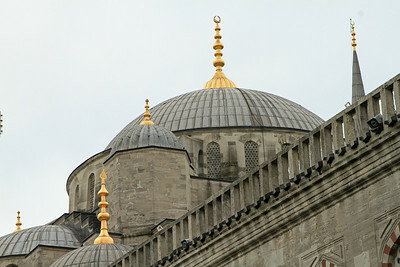 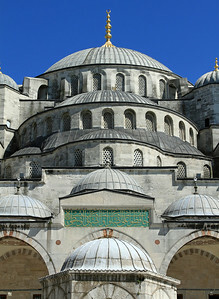 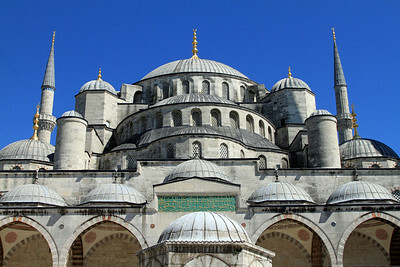 The domes of the Blue Mosque. 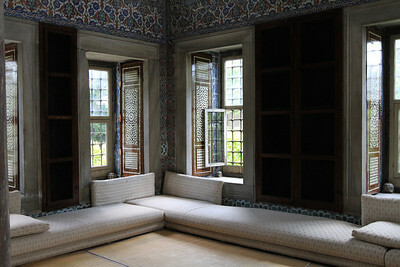 Interior of one o the Pavilions at Topkapi Palace. 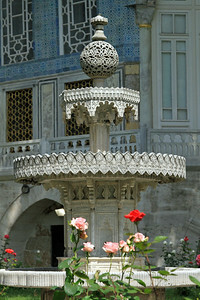 Ornate fountain near the Baghdad Pavilion, Topkapi Palace. 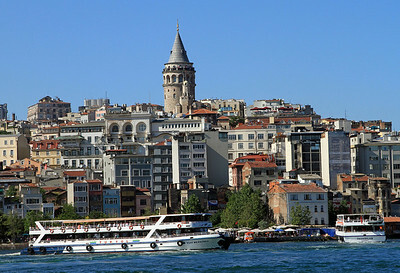 Galata Tower as seen from across the Golden Horn. 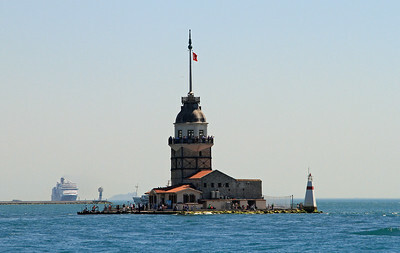 Leander's Tower at the entrance to the Bosphorus. 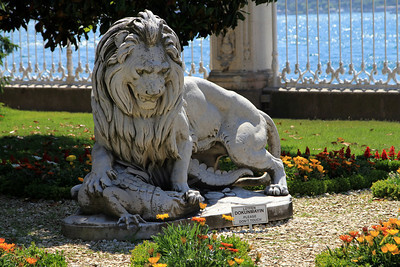 Lion fighting a crocodile, Dolmabahçe Palace. 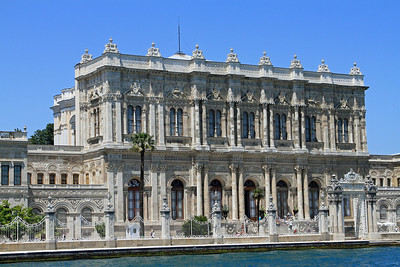 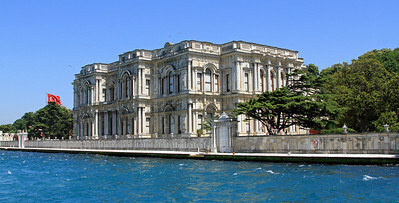 Beylerbeyi Palace besides the Bosphorus. 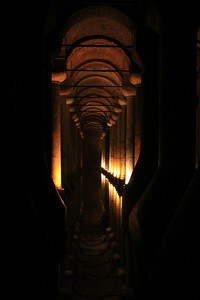 Interior of the Basilica Cistern, dating to the Byzantine era (532 AD). 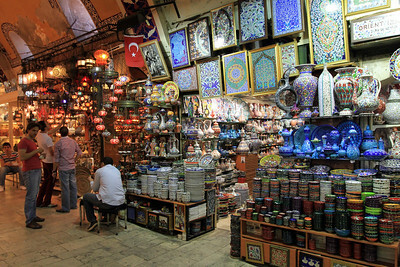 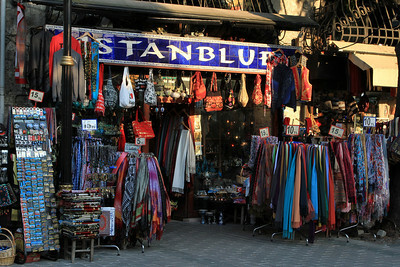 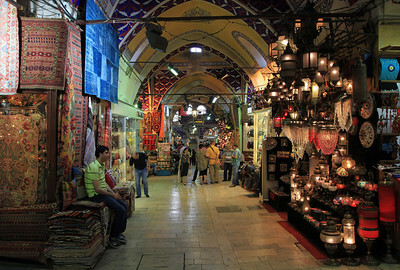 The Grand Bazaar - carpet sellers.